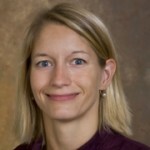 Anja Leefeldt is an Associate Instructor and the Dietetic Internship Director in the Department of Behavioral Health and Nutrition at the University of Delaware. She completed her BS in Dietetics and the Dietetic Internship at the University of Delaware. Her primary area of interest is the provision of evidence-based medical nutrition therapy in the inpatient setting. While working as a clinical dietitian, she earned her MS in Human Nutrition from the University of Delaware before discovering her interest in education. She has served in several board positions in the Delaware Academy of Nutrition and Dietetics, and was awarded the Outstanding Dietitian of the Year Award in 2017. Go to the University of Delaware home page.